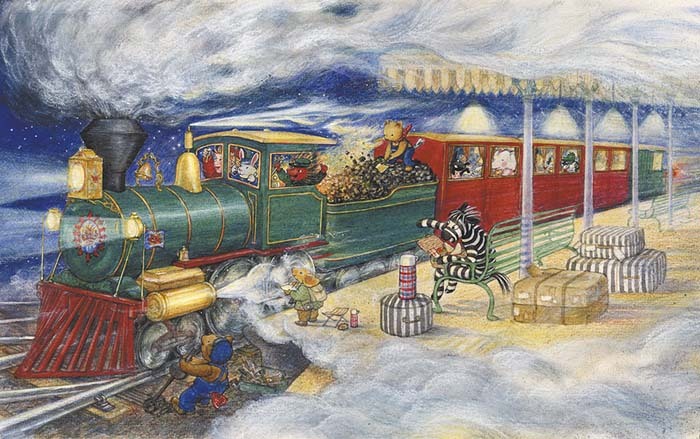 Penny Dale is an internationally known, best-selling children's book artist and author and has sold more than 4 million books, with editions in over 20 languages. Her much-loved picture book Ten in the Bed sold over a million copies worldwide. Her other titles have also met with great success : Bet You Can't and Once There Were Giants were included in the UK SATS booklist for many years, and Once There Were Giants was chosen as one of the Guardian's Best Children's Books Ever last year. Rosie's Babies (also written by Martin Waddell) won the Best Book for Babies award and was also shortlisted for the Kate Greenaway Medal in 1990. Penny is married, has one grown up daughter and a grandson and lives in South Wales.